India’s capital has no dearth of opportunities to explore and experiences to enjoy. The city never ceases to amaze its visitors or even those who have lived here all their lives. Home to some of the most beautiful world heritage sites, Delhi is a wondrous place for history buffs and those who love architecture. But the city isn’t just museums and Mughal structures, there are so many interesting sites to see and things to experience here that planning your itinerary can get overwhelming. We hope to help you by narrowing down the best tourist attractions around Delhi that you should try to experience while there. Here are 20 of the best touristy things to do in Delhi. The Kingdom of Dreams is a theatre in the suburbs of Gurgaon, near New Delhi. The theatre show is an amalgamation of art, heritage, culture, craft and performance art. The entire performance is acted out in a dreamy setting and is a ton of fun to watch. There are two Bollywood shows conducted in the theatre – Zangoora and Jhumroo – both of which have gained popularity with Delhi’s residents. The sport of Kabootar Bazi, or pigeon racing, was popular during the Mughal Era but continues to this day in Delhi. Pigeon racing is carried out in many parts of the world, but the racing in Delhi is done on a much grander scale, adhering to more traditional methods. With over five hundred people training pigeons and organizers stationed at specific points to keep track of the birds, the Kabootar Bazi gives you a glimpse of what the sport was like centuries ago. The season starts in December till February and several locations in the old city hosts these events. Location: Multiple locations. Ask around in the old city. Delhi is a city that loves playing golf and it has a surprising number of golf courses to enjoy the sport. The golf clubs in Delhi provide world-class services – from coaching facilities to hosting national-level golfing events. The clubs are all newbie-friendly and most encourage new players to give the sport a go. The Delhi Golf Club is the oldest in Delhi, in a serene and central location. The Golden Greens in Gurgaon is one of the newest and most challenging. The Nizamuddin Dargah is located right in the heart of New Delhi. The Dargah is dedicated to one of the world’s most famous Sufi saints, Hazrat Nizamuddin Auliya. One of the key teachings of Sufism is the freedom of expression – through poetry and performance art. A Qawwali is an infusion of poetry and music that is just simply divine. Qawwalis are performed almost every evening here – Thursdays being the most popular day. There are many Sufi Shrines in New Delhi, but visiting the Nizamuddin Dargah is a must. The National Rail Museum is sprawled over 10 acres of land. The museum houses rare steam engines and artifacts that were once part of the old railroad system. There are also photos and working models of trains that are currently in operation in India. The main attraction of the train museum is the toy train ride on which members can hitch a ride. There is also a souvenir shop that offers gifts and train replicas to remember your trip by. This is certainly an expedient way of exploring the city. You can ride through the street and soak in all the smell and sights of Delhi by enrolling on one of the many cycling tours available. Cycling through the city on an unobtrusive cycle gives you a very different perspective. Tour companies will provide your bike and map out a route for you to get the best of the locality, while filling you in on the history and significance of important landmarks. This is one of the most interesting ways to get to learn about the city and get in a spot of exercise as well. Location: Multiple locations through the city, New Delhi. India Gate was erected as a memorial to the Indian soldiers who sacrificed their lives in the Afghan war. The memorial stands at 42 meters high and is a photographer’s delight. The walls of India Gate are inscribed with all of the 13500 soldiers’ names who gave their lives fighting on the north-west frontier. Paranthe Wali Gali is the famous lane nestled within Chandni Chowk. It is known for its lip-smacking varieties of Parathas. These different of breads are stuffed with every imaginable stuffing possible. Some of the recipes offered at the stalls are said to be generations old, passed down within the family of each stall owner. Each day the lane is packed with customers from all walks of life. Even if you don’t feel hungry, the aroma of the food, the call of shopkeepers beckoning your business and the sight of ravenous customers tucking into delicious snacks is enough to have you order food. 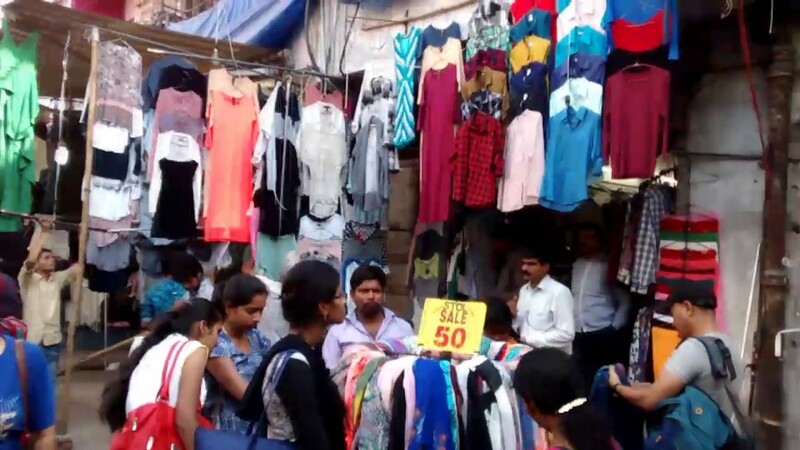 The Sarojini Nagar Market is a famous market known to every resident of Delhi. The lane of the market is packed with hawkers selling bags, cosmetics, clothes and more at affordable rates. The prices for products vary at the market, but most goods are inexpensive. If shopping is not your thing, there are shops that sell mouth-watering snacks that will have you coming back for more. This market has the ideal combination of must-have products and delicious street food – every hungry shopper’s dream. Location: Sarojini Nagar, South Delhi, New Delhi. Sadar Bazaar is known to be one of the largest wholesale markets in all of Asia for spices and other commodities. Besides spices, the bazaar is also famous for toys, stationery and imitation jewellery. Some stalls in the market are known to sell indigenous spices that are sold exclusively to certain dining outlets. The quality of the spices here is top notch but it’s not cheap – keep in mind you will be paying for spices that are in demand in foreign markets such as the US and Europe. 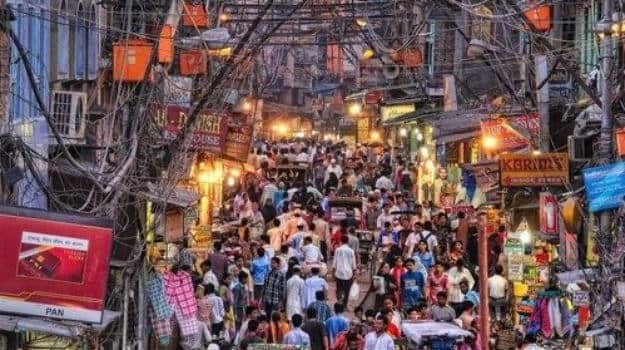 Chandni Chowk is one of the oldest markets in Delhi – it is an iconic area that every visitor to Delhi must experience. It is nestled in the heart of the old city. The market is filled with narrow lanes that buzz with activity. Stores open at daybreak and stay open till late in the evenings. The cycle rickshaw drivers serve as transporters as well as guides and are worthwhile when it comes to providing information on which places to shop and eat at. The Red Fort is a UNESCO world heritage site and is famous for being one of Delhi’s key tourist spots. The light and sound show combines rich storytelling with astounding visual animation. Here you will experience artists relaying historical narratives along with sounds by talented musicians. The hour-long show takes you through the fort’s history and is a real treat to watch. Location: Netaji Subhash Marg, Lal Qila, Chandni Chowk, New Delhi. Lodhi Gardens is the perfect place to be if you want to enjoy some fresh air amidst beautiful greenery. The garden houses royal tombs and has ancient verandas. There are bright flowers in bloom and a vast expanse of trees and plants. This is the perfect place to go for a peaceful walk. There is also a restaurant to grab a bite to eat if you are left famished from strolling around. Location: Lodhi Estate, New Delhi. Raj Ghat is a memorial dedicated to one of the most famous freedom fighters in the world, Mahatma Gandhi. It is situated on the banks of the Yamuna River and is surrounded by beautifully landscaped gardens. There is an “eternal flame” at one end of the memorial that signifies the never-ending struggle our elders went through during their fight for independence. Every Friday, a prayer is conducted at the memorial, and the teachings of the great Mahatma Gandhi are recited as well. Location: Behind Red Fort, New Delhi. Rashtrapati Bhavan is the official residence of the President of India. It is a palatial building that houses over 400 rooms. Its area is said to make it one of the largest residences of a head of state in the world. The Rashtrapati Bhavan is open on weekends to the public. You can register on the online portal. Upon visiting, you will see one of its best features – the beautiful Mughal Garden which amazes its Indian and foreign visitors. Jama Masjid is the largest mosque in India. It was constructed during the 17th century and is an iconic landmark of Old Delhi. This mosque is an important place of worship for Delhi’s Muslims. At any point of time, the mosque can hold up to 25,000 people. The main building has multiple entry points which all lead up to the main prayer area. The mosque doesn’t charge an entry fee and is open to everyone irrespective of their nationalities. The mosque charges a nominal charge if visitors want to take photographs in the premises. Founded by the famous Sultan Feroz Shah Tughlaq in the 14th century, this fort is known for the Djinns and spirits that are said to haunt it. Due to the spooky nature of the fort, it is quite well known amongst adventure enthusiasts and tourists. Visitors come here to appease the Djinns that are said to grant wishes once they are satisfied with gifts they receive. For those who love scary stories, local guides will relay spooky experiences and stories about the spirits. This tomb was built in the year 1754 to serve s the last resting place of Safdarjung, who served as the viceroy of Awadh. The tomb is surrounded by a beautiful garden, reflecting the grandeur of the Mughal Era. The tomb was designed by an Ethiopian architect and is under maintenance by the Archaeological Survey of India, which is also responsible for the library that is located at the main gate. This site is open to visitors from daybreak to sunset. The Lotus Temple in Delhi is a truly marvelous sight. It is modeled after a giant lotus flower. The building structure is made of twenty-seven intricately placed white marble slabs that make a petal formation. The temple brings people of all faiths together because of its beauty. The road leading to the temple is surrounded by immaculately-manicured gardens, adding beauty and tranquillity to the already amazing site. The Qutub Minar is a renowned UNESCO world heritage site. This minaret was constructed in the year 1192 by the first ruler of Delhi, Qutbuddin Aibak. The tower is also named after him. The structure is built purely of sandstone and marble and has a spiral staircase that connects the five storeys of the building. The Qutub Minar was once open to the public, but owing to its rapid deterioration, access to it stopped in 1974. However, visitors can look and admire the beautiful structure from the outside. Delhi is a city that embodies India’s rich cultural diversity and historical grandeur, and there are so many things to do for its visitors to enjoy. The next time you are in the city, do enjoy these top touristy things to do in Delhi and let us know about your experiences in the comments below.